And old Saurfang. And Xe'ra, and other Naaru, and a bunch of Antorus bosses. Here is a video of a flyover of Alpha Zandalar that was posted on Scrolls of Lore. Enjoy! Anyone else get sort of a deja vu Swamp of Sorrows vibe at 3:43 in that video? Not to burst your bubble, but they'd have to make it completely compatible with armor sets and mounts. Which is never going to happen. Yeah, I realize this... well at least a toy that transorm you for a few minutes! Love the not-hunched orc model, I will finally play one! What do you mean rushed? Legion's wasn't rushed at all. Not sure if sarcasm or if we're remembering things differently (very likely, as I've been locked out of playing since preorders went live because I'm on a Mac so I'm all revved up to remember only the bad things right now). All I remember about the Legion beta cycle was giving page after page after page after page of feedback that was completely ignored, on every topic from typo reports to hunter changes to artifact progression to wardrobe issues to performance-affecting Mac bugs that made it to live servers without ever once being commented on until it wasn't JUST me shouting into the void. And then having the first three or four PTR cycles do the exact same thing before I gave up on trying to improve the game through the proper channels and went and bought a cane and a rocking chair and a porch so I could yell at the kids to get off my lawn while I got to stare at crash report after crash report because the Mac Dev team is understaffed and overworked and probably can't even find the Mac-specific bug reports in the PTR report forum to even TRY to fix them. Then again, there are issues that I reported during WARLORDS beta that still haven't been addressed (and at this point, will likely never be) so I mean, that sure is a thing that's happening. I don't know. Unless they're a lot further along in the dev cycle than they usually are at this stage, I'm not confident in September being a late enough date for a fully-realized, stable product. I agree that there were things that they didn't attend to during the Beta, but Legion was far from a rushed product. Overall, launch went fairly smoothly, and there weren't a ton a problems (as far as I know) during the first few weeks. I can't really speak a ton for Macs, other than that they get less care than Windows does, and this goes for most gaming companies. Windows is generally easier to work with, and so it gets more attention. But, anyways, in the end, Blizz can't get to every problem or bug. I'm sure they do their best, but it isn't possible to make a game bug-free. The next build is currently deploying. Nothing particularly interesting thus far. As of this post, just a new model for Faceless Ones has been datamined. Also some changes to the pet specs, which I will post in a moment. HUNTER_PET_CUNNING_CORE_ABILITY_1 -(Removed) Ability that reduces all damage your pet takes for a short time, and removes impairing effects. (New) While your pet is active, you both move 8% faster. HUNTER_PET_CUNNING_CORE_ABILITY_2 - (Removed) Ability that increases your pet's movement speed for a short time. (New) breaks you and your pet free of movement impairing effects. 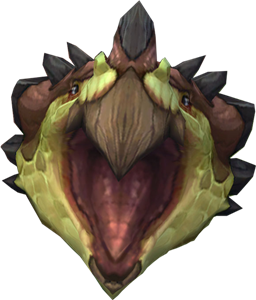 HUNTER_PET_FEROCITY_CORE_ABILITY_1 -(Removed) Abiltiy that increases your pet's movement speed for a short time. (New) While your pet is active, you both gain 3% Leech. HUNTER_PET_FEROCITY_CORE_ABILITY_2 - (Removed) Ability that instantly returns your dead pet to life. (New) grants Haste to you and your allies for a short time. HUNTER_PET_TENACITY_CORE_ABILITY_1 - (Removed) Ability that causes your pet to move rapidly to the target's location. (New) While your pet is active, you both gain 10% increased maximum health. HUNTER_PET_TENACITY_CORE_ABILITY_2 - (Removed)Ability that increases your pet's health for a short time. (New) decreases the damage both you and your pet take for a short time. HUNTER_SV_CORE_ABILITY_1 - (Removed) Melee attack that deals increasing damage the more times it is used within a short window. (New) A vicious slash that spends Focus to inflict heavy damage on your target. HUNTER_SV_CORE_ABILITY_2 - (Removed)Melee attack where you and your pet both attack the target. (New) Give the command to kill, causing your pet to savagely deal damage to the enemy and generate Focus. HUNTER_SV_CORE_ABILITY_3 - (Removed)Melee attack that deals damage over time. (New) Hurl a wildfire bomb at the target, dousing it in volatile flames that deal damage to all nearby enemies. HUNTER_SV_CORE_ABILITY_4 - (Removed) Melee attack that spends Focus. (New) Fire a poison-tipped arrow at an enemy, dealing damage over time. HUNTER_SV_CORE_ABILITY_5 - (Removed)Melee attack that spends Focus to hit all targets in front of you. (New) Hurl a Harpoon at an emeny, rooting them in place while you quickly pull yourself towards them. HUNTER_SV_CORE_ABILITY_6 - (Removed) Ability that launches a trap which explodes when approached by an enemy, dealing damage over time in the area. (New) Empowers your raptor strike to be cast from range, launching spectral eagles at your target. Binding Shot can no longer be used by Surv. Intimidation can now be used by Surv. Farstrider is BM only and only applies to Disengage. Wyvern Sting is BM only. A few talent row changes and swaps for both PvE and PvP talents. Can be viewed indepth over on Wowhead. Will post them over here soon. Engineers will be able to make scopes in BfA, as well as ammo types, such as Frost-Laced Ammunition (which slows) and Incendiary Ammunication (which applies a burn). That sounds neat. I wonder if Engineers will be the only ones who can use them? Last edited by Talihawk on Tue Feb 06, 2018 10:38 pm, edited 1 time in total. I don't think so. Anyone could use them in the past. Crafted guns, crafted scopes, and the crafted mounts.. gonna be a good expac to be an engineer-hunter. It was in the first patch. The weapons themselves weren't in yet, but there were skills for "reduce the mats in a crafted gun".